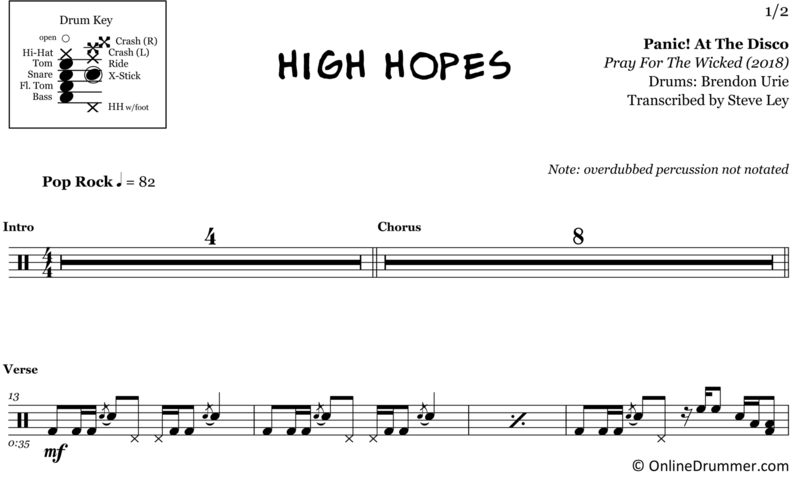 The full drum sheet music for “High Hopes” by Panic! at the Disco from the album Pray For The Wicked (2018). 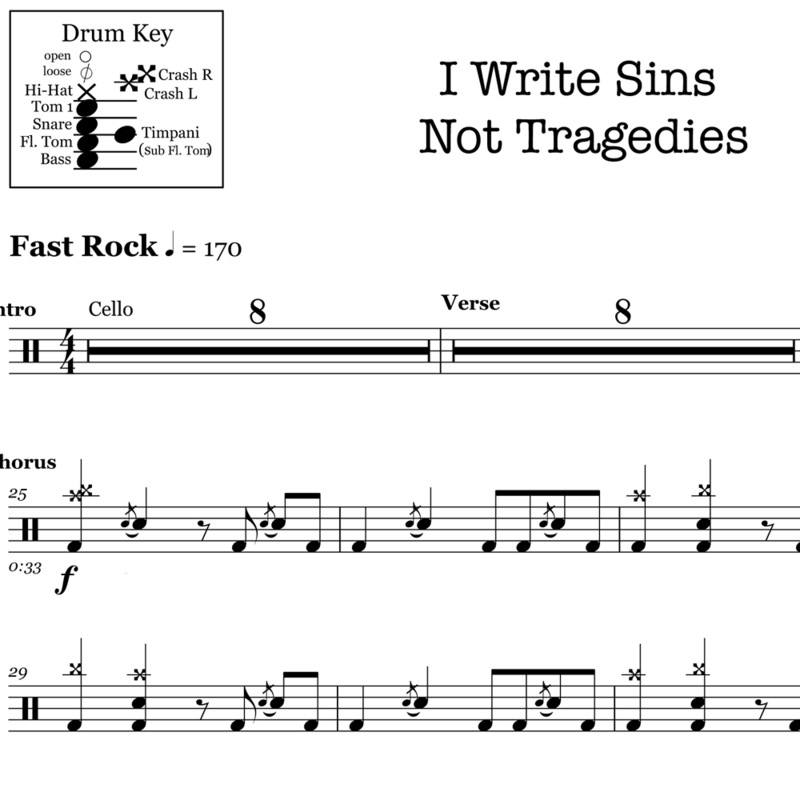 The full drum sheet music for "I Write Sins Not Tragedies" by Panic! at the Disco from the album A Fever You Can't Sweat Out (2006). 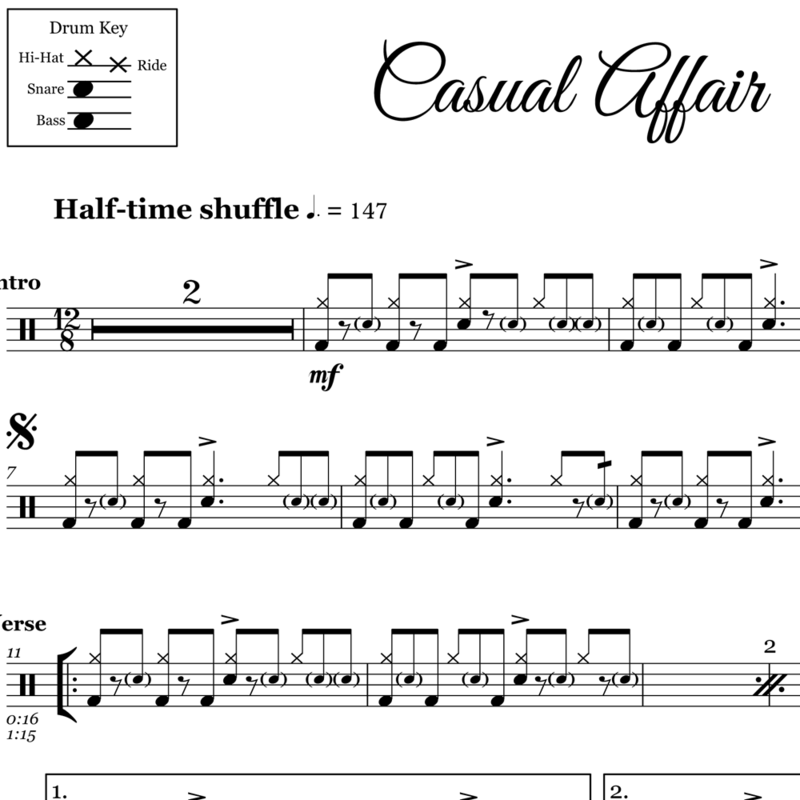 The full drum sheet music for "Casual Affair" by Panic! at the Disco from the album Too Weird to Live - Too Rare to Die! (2013). 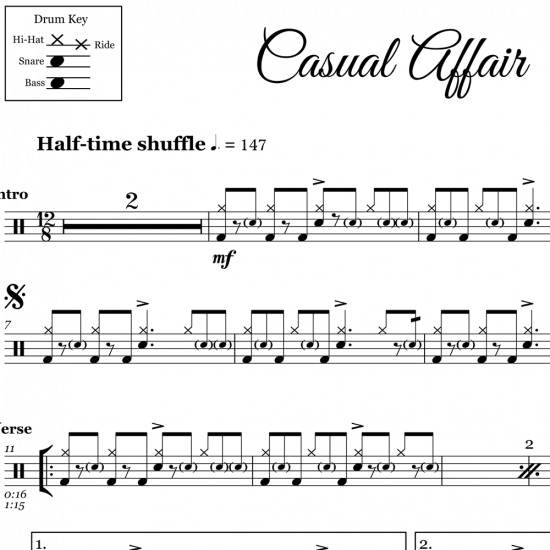 The full drum sheet music for "It's Better If You Do" by Panic! at the Disco from the album A Fever You Can't Sweat Out (2006). 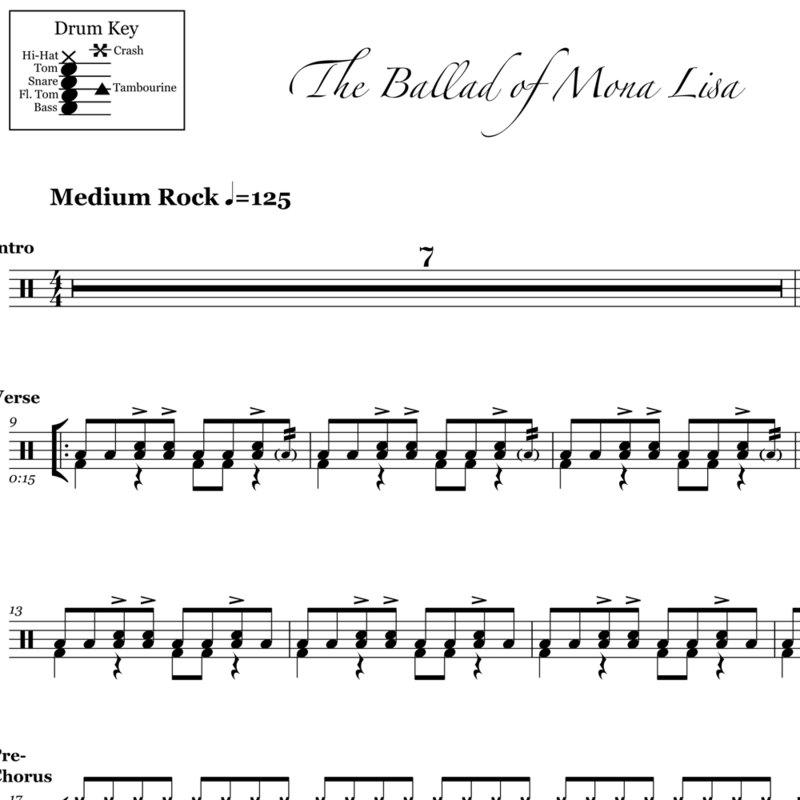 The full drum sheet music for "The Ballad of Mona Lisa" by Panic! at the Disco from the album Vices and Virtues (2011).